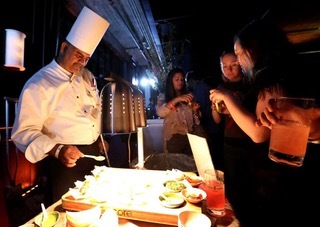 Sunil’s passion for food let him to pursue a career in the Culinary Arts. He is a graduate of the Institute of Hotel Management in Bangalore, India. He has grilled and marinated his culinary skills under the masters of Bukhara (one of India’s most famous restaurants in New Delhi) and Dumpukth. His accomplishments include the Best Chef of the Year award in a French Cookery competition organized by Associates of Catering Professionals in Hyderabad. He also won an “Intra Hotel Competition” in Biryani, Kebab and Dessert sections. 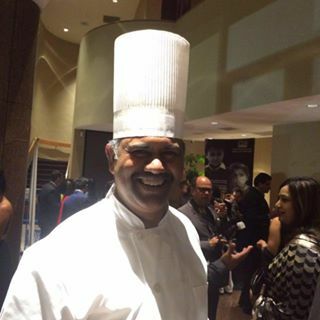 He was a chef for 2003 Femina Miss World competition held in India. Sunil’s restaurants Great W’kana café, W’kana Xpress (and pesto Ballroom), are ranked among the top 100 of Houston for last 4 years, among the 10,000 odd restaurants in Houston. Sunil has catered for India house, Hilton hotel, Marriott, Omni, and plenty of private events, prominent among those the prestigious Asia Society Tiger ball, Jugal Malani of Unique Industry in Houston, Ramesh Bhutada of Star Pipe Products, Veer Vasistha of Software Group. etc. Inspired by his mother’s kitchen and cooking, where simplicity exceeds the passion and love supersedes the ingredients. Sunil motto is to display to the world his skills, passion and versatility in the palate pleasing world of the Finest Indian Culinary Arts.